The panel concluded that to be able to determine the relationship between obesity and food assistance program participation, it is necessary to consider the difficulties and complexity of separating the effects of poverty from the potential effects of food assistance on any health or social outcome including obesity. The challenge is in controlling for the effects of poverty, which is highly correlated with program participation. Because of the strength of the existing research on this point, it is imperative that this established association be presented as the first point in their consensus statement. But at other places, the report seemed to call for serious research to evaluate both the positive and the potential negative effects of food assistance programs. On food stamps, the report concludes, "The published research on Food Stamps indicates there is some association between program participation and overweight/obesity; but there is no evidence of causality." The report does not endorse random assignment research designs (whereas I have favored ethical random assignment designs), but instead recommends strong longitudinal research designs (which I think could be adequate if done well). It offers astute observations on the potential for making use of recent policy variations, such as the institution of food stamp outreach efforts, to better control for selection bias. I hope something comes of it. Unfortunately, the article was illustrated with big color pictures of several products that have children's tv and movie characters prominently featured on them. So D took one look at the paper, pointed at the box of poptarts with Mr. Incredible on them, and said "I'd like those." "Do you know what they are?" "Why do you think you'd like them?" "If I put a sticker of Mr. Incredible on these" -- point at the bottle of children's vitamins that I've been trying to convince him to eat -- "would you eat them?" "So why do you think you'd like those? Just because they have Mr. Incredible on them doesn't mean they're good." What's wrong with asking FDA to rule on salt? The Center for Science in the Public Interest (CSPI) this week reopened its 1983 lawsuit asking the Food and Drug Administration (FDA) to rule on the safety of salt. Currently, the official status of salt is "Generally Recognized as Safe (GRAS)," which is a regulatory category reserved for foods that have been used for many years and which are safe. While it is true that salt has been used for many thousands of years, it is also true that the food additive is generally recognized as unsafe, mainly because of its association with high blood pressure and strokes, which are a leading cause of death. For example, see the Dietary Guidelines or any other authoritative scientific statement. FDA regulators should tread carefully with salt, because salt is an important food ingredient, and important issues of personal freedom of choice are at stake here. On the other hand, the actual text of the CSPI suit is quite mild -- it "seeks an order directing FDA to publish in the Federal Register a proposed rule either affirming or denying the 'GRAS' ('generally recognized as safe') status of salt and providing an opportunity for comment on that proposal. Without the Court's intervention, FDA will almost certainly continue to delay. Because the millions of Americans at risk of hypertension and cardiovascular disease are paying for FDA's delay with their health, the Court should compel FDA to take prompt action." Alex Tabarrok at Marginal Revolution skewers the "stupid mistake" the National Institutes of Health (NIH) made in tightening conflict-of-interest rules for its scientists. But here, respectfully, is the counter-argument. The serious issue is that the food and pharmaceutical industries should not be permitted to provide NIH scientists with valuable stock and consulting fees, which might influence their actions in government. The example of an NIH scientist who was criticized for receiving free parking is a distraction -- don't let it draw your eye away from the serious issue. No NIH rule, old or new, tells scientists they can't own stock. The new rules say they can't own stock in the industries their government decisions could influence. The Washington Post article cited by Tabarrok sympathizes with the poor mid-level NIH workers -- "secretaries" and "clerks" -- who will lose large sums from selling their industry stock. But wait a minute. Why would mid-level NIH folks be holding large amounts of stock in the industries influenced by NIH decisions? If the NIH public servants have no insider knowledge, they are unharmed by the new rules to hold other stocks instead. On the other hand, if there were a culture at NIH of passing around valuable stock tips, one would expect staff to oppose the new rules vehemently. We shouldn't permit even the appearance of such a thing. The Post article describes NIH scientists who were found blameless on further investigation, but it also mentions NIH scientists who seemed to have conflicts of interest: "One scientist allegedly collected hundreds of thousands of dollars in fees and travel reimbursements over five years as a result of largely undisclosed activities." I am sympathetic to intelligent articulate economists who tend to be suspicious of regulation tightening when it comes to the private market economy. But, when it comes to government officials, the smart economist's case favors strict rules against conflict of interest. Who wins from country-of-origin labeling? The new issue of the online magazine Choices focuses on country-of-origin labeling (COOL) for beef, which was passed in the 2002 farm bill, and which is to be implemented in 2006. The new labeling would allow consumers to distinguish American beef from imported beef. Because labeling imposes some costs for the industry, the net benefits for producers hinge largely on whether consumer demand will increase -- for example, whether consumers will be willing to start paying a premium for American beef. Given the current administration's less than vigorous food safety policies, and continuing concerns about mad cow disease, you may find that prospect amusing. Indeed, the eminent agricultural economists writing in Choices are generally skeptical that there will be any demand increase for beef attributable to COOL. The poultry industry is the only unequivocal winner of the implementation of COOL. We assumed that the poultry industry's cost structure was unaffected by COOL because poultry is currently excluded from COOL legislation. Consequently, increased COOL marketing costs in the beef and pork sectors that increase retail beef and pork prices encourage consumers to substitute towards poultry products. This demand increase causes subsequent increases in poultry prices, quantities, and producer and consumer surplus in the poultry industry. For authors from Montana State University (Gary Brester, John Marsh, and Joseph Atwood) and magazine editors from Texas A&M university, the conclusion that "the poultry industry benefits at the beef industry's expense" counts as very faint praise for COOL. The Center on Budget and Policy Priorities today released its estimates of the implications for discretionary programs of the Bush budget for FY 2006. Of food assistance programs, the report covers only discretionary programs (like WIC), but not entitlement programs (like food stamps). For WIC, the Bush budget implies cuts of $657 million from 2006-2010, which would lead to the loss of benefits for 660,000 participants by 2010. Officials in most countries stated their new food safety agencies incurred consolidation startup costs. However, in each country, government officials believe that consolidation costs have been or will likely be exceeded by the benefits. These officials and food industry and consumer stakeholders cited significant qualitative improvements in the effectiveness or efficiency of their food safety systems. These improvements include less overlap in inspections, greater clarity in responsibilities, and more consistent or timely enforcement of food safety laws and regulations. In addition to these qualitative benefits, officials from three countries, Canada, Denmark, and the Netherlands, identified areas where they believe financial savings may be achieved as a result of consolidation. Greater efficiencies, better safety, and financial savings? They'll never go for that here. Does WIC increase children's access to food in general? The WIC program provides food benefits to pregnant women, infants, and young children. The part for pregnant women has been shown to improve subsequent birth outcomes, which is a very important result. The young children component has been somewhat more severely questioned, including in a book by Besharov and Germanis called Rethinking WIC. A new report from USDA's Economic Research Service may not be the last word on the matter, but it is worth bringing to your attention. It argues that WIC increases children's intake of the foods specifically included in the WIC package, but this increase is offset by reduced intake of other foods, so the effect on total food intake (calories) is negligible. Results from the analysis show that WIC participants consumed significantly more calories (12-14 percent) from WIC-approved foods than each of the three groups of nonparticipants. On the other hand, the participants consumed significantly fewer calories from non-WIC foods than the two groups of eligible nonparticipants. In terms of total calories consumed from all foods and beverages, there was no significant difference between WIC participants and the two groups of eligible nonparticipants. Thus, there is little evidence that participation in WIC contributes to increased caloric intake among those children eligible to participate. However, WIC participants consumed more total calories than children not eligible to participate because their household income was too high. One can't base policy on one study, and children's nutrition may be much improved by substituting WIC foods for other foods. Still, it seems fair to say the USDA authors are corroborating one particular concern of Besharov and Germanis (not the whole book). It really would be worthwhile to study WIC effects for young children with a strong (ethical!) random-assignment research design. Almost 24 million Americans participated in the Food Stamp Program on average each month in fiscal year 2004, up 12 percent from the previous year. According to the newly released Food Assistance Landscape from USDA's Economic Research Service, this jump is the largest percentage increase since 1992. Perhaps outreach efforts are having an effect. Or perhaps the current economic expansion is not reaching low-income Americans as well as the expansion of the 1990s did. Source: USDA Economic Research Service. I learned many years ago that some of the most avid readers of the public interest press are food industry counsel. So, as a reader service, here is an announcement especially for you. Don't miss the upcoming forum on obesity policy, regulation and litigation, sponsored by the marcus evans firm. "Finally - a forum developed by food industry counsel, taught by food industry counsel, specifically for food industry counsel." I hope you enjoy it, especially if you felt neglected and unloved at the Public Health Advocacy Institute's second annual meeting on obesity litigation last Fall. Keynote speakers at the marcus evans event, May 9-11 in Chicago, will be FDA chief Lester Crawford and FTC head Deborah Platt Majoras. Wish I could go, but I can't spare the $2663 (I hear healthy catered food is terribly expensive). Please email me if you would like to send me conference materials and your notes. In defense of measuring "food insecurity with hunger"
1) The panel claims that "perhaps the most controversial aspect of the measurement of food security is the identification of persons as food insecure with hunger." I do not think this is an accurate description of the controversy. Of the people who question the methodology at all, most come from the political right; these critics tend to claim that, while they accept the accuracy of USDA definition of hunger (under which a relatively small number of households are classified), they dispute the very existence of the category of "food insecure without hunger" (under which a much higher number of households are classified). 2) The panel states that "hunger is a politically sensitive word that conjures images of severe deprivation." I don't think that is an accurate statement either. In the Random House Webster's dictionary on my shelf (college edition, 1997), the top definition of hunger is: "a compelling need or desire for food." The definition closer to the USDA definition, "a painful sensation or state of weakness caused by the need for food" is only the second, less commonly used, definition. Moreover, I actually think the general public would describe more people as hungry than the USDA definition. For instance, most Americans would likely describe anyone forced to go to a soup kitchen or food pantry as "hungry," even if they didn't meet the government's formal definition of the term. Plus, let's consider how the word "hunger" is used in the popular media. Ambitious athletes, businesspeople, and politicians who very much want to win in their fields are called "hungry." Fast food ads question whether we are "hungry yet? "after they flash us a few seconds of a sizzling burger. Last year, the NY Times published an article that described dealers at a $62 million art sale as a "hungry horde" and called a new fashion look "lean but hungry." The paper also ran an ad for a summer educational program with the headline: "Hungry? - We stimulate academic appetites." If the word "hunger" is used in all these broad circumstances, it can certainly be used to describe the situation when Americans actually don't have enough food. wealthier room of a house. 4) The panel claims that the "definition of hunger as both a physiological and socioeconomic concept is not made clear" by USDA. Yet I think all of USDA's reports since these measures were first made public in 1997 have consistently been clear about both aspects of the problem. useful, if the federal government has significant additional resources to deal with hunger, food insecurity, and poverty, I would much rather that our tax dollars be used to help solve those problems than to further research the extent of those problems. Lastly, I must again return to their claim that "hunger" is generally a "politically sensitive" word. I think that comment reveals more about the panelists themselves -- and the nature of the request that they investigate this issue -- than it does about the word. It seems to me that the word "hunger" is generally only politically sensitive to those who want to deny or minimize its existence. If there is any more formal way that I can register a response to the panel's suggestions, please let me know. Thanks again for all your vital work. USDA's Food and Nutrition Service (FNS) last week published its final rule for high performance bonuses in the Food Stamp Program. These bonuses reward states for achievements in administering the nation's most important anti-hunger program. For years, advocates have worried that the older system of bonuses and penalties, which emphasized payment accuracy to the exclusion of other issues, provided a perverse incentive for states to make the program unfriendly to working families. Working families tend to have fluctuating incomes, compared with families who rely only on welfare or social security income, so states were more likely to register "errors" in determining benefit amounts for working families. Under the new rules, half the bonus pool ($24 million) is awarded on the basis of payment accuracy, while the other half (another $24 million) is awarded for client-friendly achievements such as raising the "program access index," which is a new measure of how close the program comes to reaching all low-income people in each state. For the best earlier information on this issue, see the Center on Budget's website section on food assistance. You know about fair trade coffee, but here for Valentine's Day is fair trade chocolate, courtesy of Four Seasons, a new weblog about sustainable agriculture, nutrition, health, and other good things. "Within a few hours of the release of the president's proposal last week, Rep. John E. Peterson (R-Pa.), co-chairman of the Congressional Rural Caucus, fired off a statement criticizing the president he typically supports." Mr. Milbank quoted Rep. Peterson as saying, "We expected to fight cuts to rural programs under the Clinton administration, [b]ut those who are currently advocating these draconian cuts would not be in office today if it weren't for rural America. These cuts disproportionately target essential programs in rural communities while turning a blind eye to the wasteful spending that is rampant in many big cities across the country." As usual, I get my farm policy stuff from the Farm Policy weblog. In her popular book Nickel and Dimed, Barbara Ehrenreich took a tour through the low-wage working life in America, and reached the unassailable conclusion -- it's difficult. But it always bothered me that she added an extra layer of difficulty by not including the Earned Income Tax Credit (EITC) or food stamps in her budget. There is no shame in taking either. The EITC is an annual payment from the IRS to low-wage working families with children. Food stamps reflect our national conviction that food should be an entitlement. By not participating in these programs, it almost seemed Ehrenreich expects her model low-wage workers to make a charitable contribution to Uncle Sam in addition to all their other burdens. I was reminded of this recently when I saw the clever sheep weblogger's discussion of the Maryland Food Bank's online interactive role-playing tutorial, "Hunger 101." In this tutorial, you take the role of one of several characters, and try to feed your family on a very difficult budget. Try it -- it's impossible. But something doesn't add up. The first character offered is Jennifer Hernandez, a 29-year-old mother of 2 young children, ages 2 and 5. Ms. Hernandez earns $360 monthly ("$310 after taxes," the tutorial says) and gets $340 monthly from cash assistance. In the interactive game, you can take her to the food stamp office to wait all day, only to find out that she is ineligible for food stamps. But I can't see why -- she is clearly income eligible, and her TANF participation makes her "categorically eligible" (i.e., asset limits or an automobile do not make her ineligible for food stamps). The USDA formula for food stamps gives her the following deductions from income, before her corresponding benefits are calculated: $72 for work-related costs like transportation, $134 standard deduction, and $177 to offset her high housing costs. Far from paying income taxes on her earnings, she would get an annual check from the IRS of $1730. Her budget is still awful difficult, but EITC and food stamps are important and hard-won programs, and it seems important to acknowledge their role. Updates from the Food Research and Action Center (FRAC), a leading national anti-hunger organization and federal level leader for myriad state and local organizations. 1. Upcoming national anti-hunger conference. 'Registration still open! Register today for the 2005 National Anti-Hunger Policy Conference: "Preserving and Improving the Federal Nutrition Safety Net," February 27 - March 1, 2005; Washington, DC. Here is Informed Eating's roundup of state efforts to address junk food marketing in schools. Showing admirable determination, state legislatures all over the country are gearing up to once again battle the mighty food and beverage industries to rid schools of unhealthy products such as soda, candy, and chips. States with school nutrition bills currently pending, or that may re-introduce bills that failed last year, include: Alaska, Arizona, California, Kentucky, Nebraska, and Massachusetts. Ballooning federal deficits threaten all social spending in this country, but in kind programs for vulnerable women and children may be most at risk. In 2002, only 5 million people received cash welfare under TANF, while more than 30 million people participated in other safety net programs. The attack on the federal safety net has several prongs including allegations that programs “don’t work,” that programs are riddled with fraud, waste, and abuse, and that poverty alleviation is best left to state and local government.This article assesses these arguments, and argues that each is mostly myth. This contribution may be interesting to weblog readers for several reasons. First, we have been following Currie's related work on WIC in earlier posts. Second, the journal's publisher, bepress, has a novel business model which holds hope for reducing the power of academic publishing oligopolies and lowering the price of information. Third, one of the co-editors, Brad DeLong is one of this weblog's favorite weblogging economists. See, for example, his recent coverage of the social security debate. The mainstream view on trans fat is that it is an unnecessary part of the food supply, and we should consume as little of it as possible. The federal government's Dietary Guidelines recommend that the food industry help by reducing trans fats in its products. With great fanfare, McDonald's promised in 2002 to change to cooking oils with less trans fat, a change that was to be completed in February 2003. When the company quietly retreated from this plan in the following years, consumer adocates sued. The advocates just won their case yesterday. In a settlement, McDonald's agreed to publicize its retreat from its plan to change to healthier oils and donate $7 million to the American Heart Association for public education about trans fats. Here is the plaintiff's press release, here is a related press release from the Center for Science in the Public Interest, and here is the CSPI print advertisement about the controversy, entitled "A Broken McPromise." William Safire on the word "vegan"
"By all that is sacred in our hopes for the human race," wrote the passionate poet Percy Bysshe Shelley in 1813, "I conjure those who love happiness and truth, to give a fair trial to the vegetable system." The cardinal rule of that blithe spirit: "Never take any substance into the stomach that once had life." ... or coin a clever word. Then along came the Yorkshireman Donald Watson, a woodworker in Britain and a devotee of greens, who [invented the word 'vegan'].... I'm a carnivore myself -- an animal that delights in eating other animals -- but won't treat this guy like a fad-diet freak: Watson has a major coinage under his belt, and he's a spry 94. Thanks to the Green Eats weblog for the link. National Academies raise questions about measuring "hunger"
The Committee on National Statistics, part of the National Academies, has just posted online a pre-publication version of its new report on measuring food security. The report discusses and sometimes criticizes the survey methodology used to count how many Americans are "food insecure" and hungry. You have probably seen the resulting statistics reported by the media after they have been released each Fall in recent years (last year, conveniently, right after the Presidential election -- see this post and this one). The USDA estimates, published in a series of annual reports, are widely used by government agencies, the media, and advocacy groups to report the extent of food insecurity and hunger in the United States, to monitor progress toward national objectives, to evaluate the impact of particular public policies and programs, as a standard by which the performance of USDA programs is measured, and as a basis for a diverse body of research relating to food assistance programs. Government agencies have also adopted the estimates as targets for performance assessment. The U.S. Department of Health and Human Services (DHHS) has included the food security measure to assess the performance of its Healthy People 2010 initiative. The Food and Nutrition Service of the USDA is using the measure as a target for its strategic plan to fulfill requirements of the Government Performance and Results Act of 1993 (Wilde, 2004a). Despite the extensive use of the measure, some major questions related to the concepts themselves, the methodology, and their use, continue to be raised. 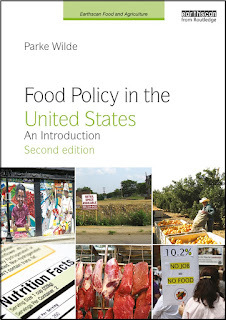 While the USDA annual reports define the concepts of food security and the three categories of food security that are estimated and reported (food secure, food insecure without hunger, and food insecure with hunger) and provide detail about how they are measured, the terms "food security" and "food insecurity" are relatively new to both policy makers and the public and are sometimes confusing. While the term "hunger" is not new, measurement of hunger and how hunger conceptually fits into food insecurity is not completely clear. As currently construed in USDA's food security measure, hunger is considered a severe level of food insecurity. This use of the term "hunger" has been questioned by some who believe that hunger is conceptually separate from food insecurity. Because the label "hunger" is a politically potent concept, the methods used to classify households as food insecure with hunger are particularly important. -- using the same module to assess the food security of households with children and households without children. Questions about the appropriate uses of the estimates of food security also have been raised. The primary use of the Food Security Supplement of the CPS is to estimate the prevalence of the categories of food security. The media and advocacy groups often interpret the prevalence estimates in language inconsistent with USDA usage. As currently measured, the estimates may not be appropriate for use in policy and program evaluations. Even if they are used, it would be helpful for their use to be consistent across federal government departments. The USDA strategic plan uses a food security target that differs from the DHHS Healthy People 2010 objectives, and the USDA annual performance reports omit the target altogether (Wilde, 2004a). The report reaffirms the usefulness of survey methods for measuring food security, but it is likely to necessitate some revisions from the measure's sponsors at USDA. All for the best. It is worthwhile to make even a good measure better. My own number one suggestion is to keep the statistical methods as straightforward and transparent as possible. The association should remove this junk food ad from its website, and especially the misleading nutrition mumbo jumbo for a sugary snack that may displace healthier food choices at breakfast. I will check back in a month. If the ad is still there, I'll post again suggesting we all write Congress and say the School Nutriton Association cannot be trusted with that extra 50 cents for children's nutrition education. As a taxpayer and parent, I think SNA's constituency should ask for our money for nutrition education, or their money for nutrition education, but no double-dipping! Recent advertisements from the American Civil Liberties Union (ACLU) and the Center for Consumer Freedom (see this earlier post for a description of the Center) both portray a negative utopia where evil restaurants penalize you for failing to meet nutritional standards. I am deeply impressed. Here is the new food data system website announced today by USDA's Economic Research Service. An article of faith motivating this weblog is the belief that information is the antidote to money in the struggle for a more sensible U.S. food policy. So consider that, with the new website, the following chart took me less than five minutes to produce, including the time it took to figure out how the site worked. Any interest now in letting Pepsico have access to your children for a little "nutrition education"? Try this site out yourself. Florida requires HMOs to offer subsidies for healthy behavior? TALLAHASSEE - Florida's government wants you to lose weight -- or stop smoking, or head to the gym -- and it wants you to be rewarded if you do, though your boss may be the one who actually benefits. Gov. Jeb Bush and the state Cabinet approved a rule Tuesday that forces most private insurers and HMOs in the state to send rebate checks to employers when their workers adopt a healthier lifestyle this year. A lot of questions remain about how to monitor the weight and smoking habits of workers without violating anyone's privacy. And what about people who have never smoked or otherwise already have healthy habits? Under the first-in-the nation ''Healthy Lifestyles Rebate'' plan, employers are not required to pass on the savings to workers, though some insurers are offering checks to employees as well. "Today is a new day"
Three cheers for all the folks who labor long hours to make farmers' markets work in inner city America. Here is the site for the market in my old neighborhood of Columbia Heights in Washington. An inspiring story from NPR's Morning Edition this week discussed a USDA program to subsidize fresh produce in farmers' markets in a small number of sites, including the largely African American community of West Oakland. Best words: "I've never bought produce in my life, but today is a new day." Here is the site for the Community Food Security Coalition, a prominent national organization supporting and advocating for this type of work. USDA's Agricultural Research Service recently reported on research about adolescents' understanding of food labels. Terry Huang at the Friedman School, Tufts University, found that higher fat intake was positively associated with reading nutrition labels for boys, but not girls. One might have thought that the label readers would choose lower fat foods. What explains this interesting paradox? One possibility would be that adolescent boys with unhealthy eating habits have become aware, or been have been encouraged to become aware, that they need to watch what they eat. Huang's suggestion is that perhaps adolescent boys are reading nutrition labels specifically in order to get high fat foods, so they can "bulk up." With small samples, a third possibility is always that the result is a fluke, but Huang's study had a respectable 300 subjects. The study is published in the Journal of Adolescent Health. A related nutrition education program for youth from USDA's Food and Nutrition Service, called The Power of Choice, contains a nice segment on reading nutrition labels. It also says, "With today’s snack and fast food choices, most preteens eat too many high-fat foods, perhaps more than they think." Hmm, that's probably not the phrasing Ronald McDonald would have chosen.